Alcohol test kits test for the presence of ethanol in alcohol to determine if the donor has used alcohol. 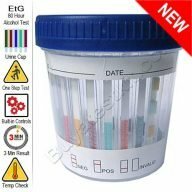 Typically a standard urine alcohol test will detect alcohol abuse up to eight (8) hours in the past but with modern advancements, it is now possible to detect alcohol abuse up to eighty (80) hours; this is called an EtG test or Ethyl Glucuronide test. Results for all these are almost instant and 99% accurate. All our products are sold at the lowest prices possible and shipped same day. Also available for Oral testing and Breath testing. Do you need to buy in small quantities? 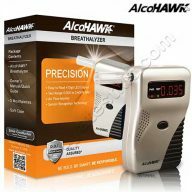 Test for alcohol with a breath test, an oral saliva test or a urine test. 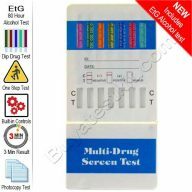 One of the latest products to appear is an Ethyl Glucuronide or EtG test, EtG is a metabolite found in urine after consuming alcohol. It can detect abuse for up to 80 hours in the past. 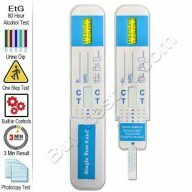 A simple urine test with our new EtG products will give you the answers needed for heavy drinkers. 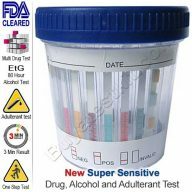 You can also test for alcohol and commonly abused drugs with our oral drug tests. Note: These tests are for Forensic Use Only.